The early 1940s in Hollywood were the unofficial Age of Sturges. 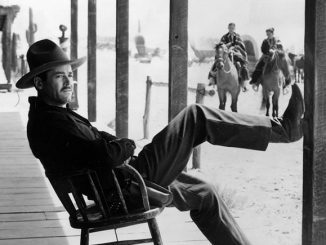 Writer/director/producer/general wunderkind Preston Sturges made eight films in the period between 1940 and 1943, and several of these pictures—chiefly among them Sullivan’s Travels, The Lady Eve (both 1941), The Palm Beach Story (1942), and The Miracle of Morgan’s Creek (filmed in 1942, released in 1944)—have become veritable comedy classics in the ensuing decades. 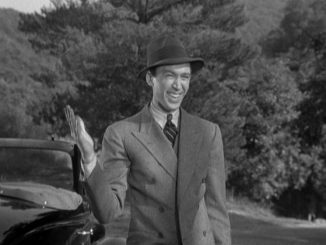 Sturges’ best films are the essence of screwball comedy, boasting a mixture of sharp wit, ferociously funny dialogue, improbable physical hijinks, and sophisticated humor that makes each picture truly, uniquely hilarious. When Sturges parted ways with Paramount in 1944 (a rather acrimonious split, as the director resented the studio’s ill-considered interference in his work), he tried to make a go as an independent producer, but faced further issues with his new partner, mercurial millionaire Howard Hughes. Sturges eventually made his way to 20th Century Fox, and it was here where Sturges produced his final masterpiece, the 1948 revenge comedy Unfaithfully Yours. Sir Alfred de Carter (Rex Harrison, in arguably one of the strongest performances of his career), a famed British conductor, returns from a visit to his homeland for a passionate reunion with his young wife Daphne (Linda Darnell). But Alfred is in for an unpleasant surprise when his insufferable brother-in-law, August (Rudy Vallee), who is married to Daphne’s sister, Barbara (Barbara Lawrence), informs Alfred that he hired a detective to follow Daphne while Alfred was away. Though Alfred initially refuses to read the report, he eventually gives in to temptation and tracks down the detective, Sweeney (Edgar Kennedy), and discovers that his wife had been seen entering the room of Alfred’s secretary, Anthony (Kurt Kreuger), late one night. Heartbroken, angry, and thinking the worst, Alfred emotionally conducts the orchestra that evening while imagining three different scenarios in how to deal with his cheating wife–one of which he will attempt to put into play after the performance. Unfaithfully Yours marks both a return to form for Sturges and something of a departure from his usual style. The dialogue is top-notch, brimming with zingers and witty rejoinders as in the best of the director’s films. But though the film is still rooted in the physicality that marks Sturges’ frothier Paramount comedies (particularly in the climactic scene in Alfred’s apartment, in which Harrison fully displays his physical comedy chops), the humor is much, much darker. Harrison’s descent into a jealous, murderous rage may be played for laughs, but there is an undeniable sense of uneasiness that underlies most of the action of the second half, as we witness Alfred’s disquieting, earnest attempt to bring his imagined “perfect crime” to very real life before finally being brought back down to earth. In a way, the movie is vaguely reminiscent of F. W. Murnau’s silent 1927 masterwork Sunrise: A Song of Two Humans, in which a husband plots to murder his wife in order to be with his mistress; in both films, the husband’s attempt to do away with the wife is (almost too) easily forgiven and forgotten, and the bonds of love are instead strengthened and renewed, however unrealistically. While the script more than stands on its own with a vivid, incisive dash of absurdity, the success of Unfaithfully Yours truly hinges upon the music. And with that understanding, Sturges brilliantly constructed a soundtrack for the film that wordlessly sets the tone for the entirety of the action within, most notably in the conducting scenes as Alfred imagines his vengeance. Each of Alfred’s revenge scenarios is accompanied by music that aptly ties into the theme of each situation. His initial idea—framing Anthony for Daphne’s murder—plays out over strains from Rossini’s Baroque opera Semiramide, the tragic tale of a treacherous queen. The second scenario, in which Alfred plays the noble martyr, sacrificing his own happiness for Daphne’s, is underscored by the music of Wagner’s Tannhäuser, an opera based on the German legend of the poet who sought redemption from the sin of obsessive love. And Alfred’s final revenge fantasy, an ill-conceived game of Russian roulette with an understandably reluctant Anthony, has as its soundtrack Tchaikovsky’s Francesca da Rimini, the tale of the adulterous wife in Dante’s Divine Comedy who is sentenced to Hell for her lustful sins. So effective are these accompanying melodies that each of these revenge scenes could easily have been played out with no dialogue at all, for each song encapsulates the action onscreen so fully that even when the actors lapse into moments of silence, the emotional currents underlying each scene are still abundantly clear. Perhaps because of the blackness of the humor, Unfaithfully Yours tanked upon its initial release, and Sturges never regained the same level of success he had enjoyed just a decade earlier. Even so, the film is now recognized as one of Sturges’ best, the culmination of the storied career of one of the most talented and creative minds to ever emerge from Hollywood. This piece is posted in conjunction with the Summer Under the Stars Blogathon, hosted by our very own Jill Blake at her website Sittin’ on a Backyard Fence, and Michael Nazarewycz of Scribe Hard On Film. 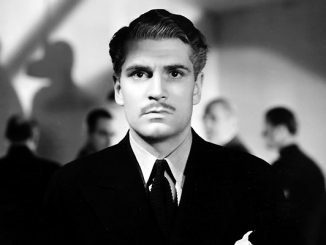 It originally appeared as part of a review of the Fox Cinema Archives release of Unfaithfully Yours at Cinema Sentries. One performance in UNFAITHFULLY YOURS that shouldn’t be ignored is Edgar Kennedy as the detective. At first, he starts out as a figure of fun (“Nobody handles Handel the way you handle Handel”), but then, when he relates his own experience of being cheated on to Harrison, and both we and Harrison start to feel sympathy for him, it’s a powerful moment without ever getting maudlin. I could just smack Rudy Vallee’s character and I think Harrison and Darnell had great chemistry together in this film. Thanks for the info on the songs that framed the daydream murder scenarios, too!